Photographer. At Home and Afar. Set against the increasingly homogenous cultural influences of globalization, the rich vernacular forms and experiences of remote communities across the arc of the North Atlantic are both instructive and rewarding. 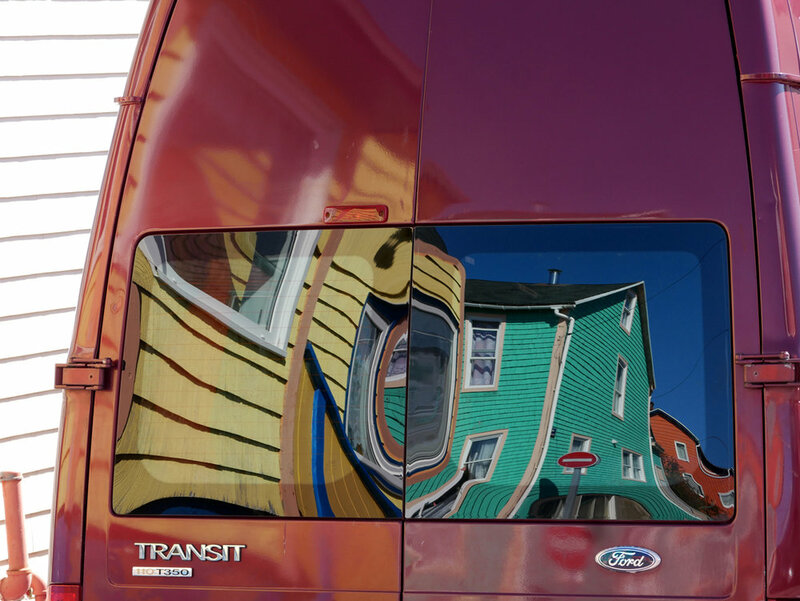 The name “outports” is a traditional Newfoundlander term for the hundreds of tiny communities which were connected by both unforgiving seas and bounteous fisheries until the collapse of the latter led to their rapid abandonment. 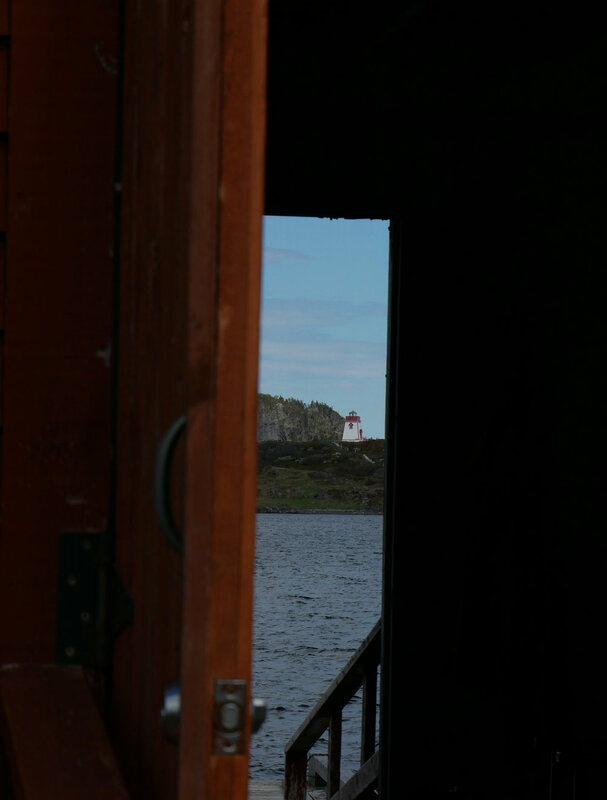 Similarly isolated ports cling to forgotten shores across the North Atlantic including Iceland, Nova Scotia, and St-Pierre and Miquelon, the only remaining French territory in North America. This rocky archipelago sits within sight of the island of Newfoundland but nearly 4,000km across the ocean from the rest of France. Despite many common influences, like a dependence on fishing and harsh climates, the isolation of outport communities enabled them to evolve over hundreds of years in strikingly diverse ways; the cultural equivalent of the beaks of Darwinʼs Galapagos finches. Adaptations such as the use of vibrant colours makes sense to help the buildings and boats stand out against bleak shorelines and act as beacons for sailors returning from their fishing grounds. Fishing rooms and stages dance precariously on stilts along the rocky shorelines. Both sheep and villagers put on thicker layers of wool to fend off the biting ocean winds. But much of the distinct character of each outport also comes from the unique cultural inputs of their original settler populations, preserving foods, languages, and traditions since lost in their better connected and more cosmopolitan mother countries. The modern Nordic language closest to that of the Vikings is found in remote Iceland and not itʼs original Scandinavian homeland. There is a higher percentage of Gaelic speakers in Cape Breton than in Scotland proper. And there are more varieties of English spoken in Newfoundland than anywhere else in the world. Proud Basque traditions such as jai-alai courts and traditional colour schemes are fiercely entrenched and subtly distinct from the visibly Irish roots of the next outport down the coast. 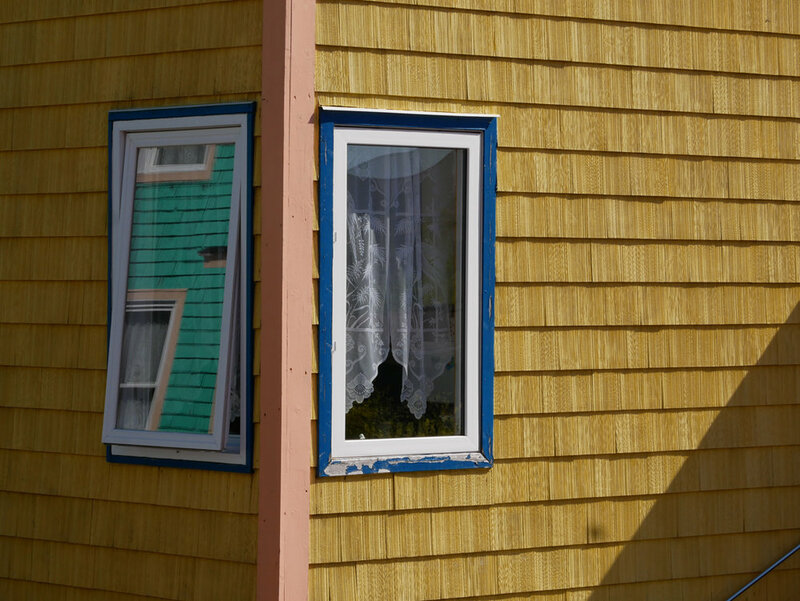 In addition to traditional French patisseries, the legacy of Al Caponeʼs prohibition-era empire is visible in St-Pierre with the utilitarian use of liquor crates as a building material for siding. And the free-roaming sheep and ponies of Icelandʼs rugged hills are the direct descendents of those brought to these shores in Viking longboats over a thousand years ago. But just as the cod stocks on which these diverse communities have depended teeter on the brink of extinction, outports themselves and their endemic cultures are today endangered. Economic pressures have pulled young people to the cities and further abroad while the assimilating reach of technology and media threaten to dilute the distinct character among those who remain. So take a moment to stroll along the landwash and past the fishing premises and flakes. Pause to drift through the tickles and runs that have been the lifeblood of generations. And if you stop and abandon yourself to the “somewhereness” of each place, the creaking wood and riotous palette of colours will surrender their stories, each with its own brogue, lilt, or burr.